Annotation: Veteran teacher Marilyn Pryle knows first hand the challenges of teaching writing workshop in middle school. She has fine-tuned her approach over the years and now shares her classroom-tested strategies in this step-by-step guide. She shows you how to establish routines, set high expectations, plan assignments that balance structure and choice, sequence mini-lessons to maximize studentsÂ·learning, design rubrics to ease the grading dilemma and encourage revision, and so much more. 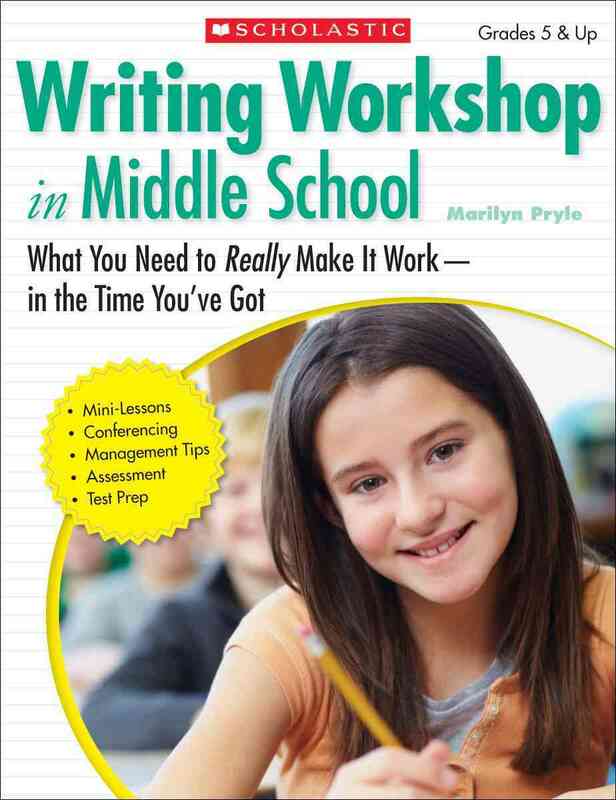 With management tips, scheduling options, test-prep ideas, ELL supports, and conferencing how-to?, this is the essential resource for teaching writing workshop in middle school!